Margaux wakes up with a hangover. Both she and Sonny get a text that Carly was brought in for questioning the night before. 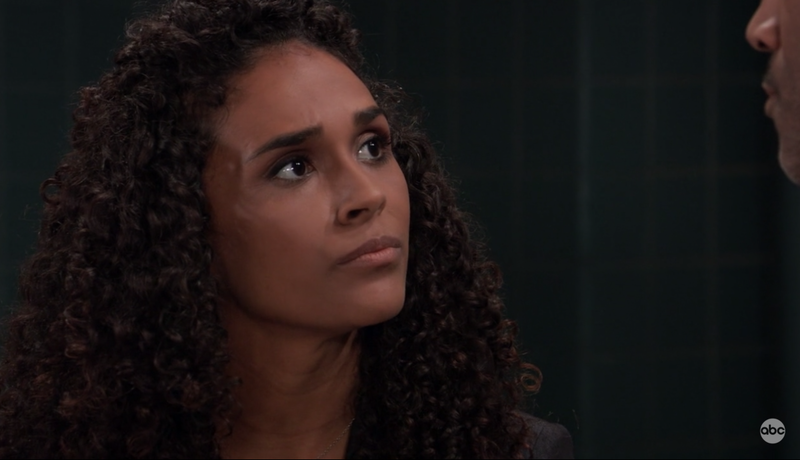 Sonny believes it&apos;s Margaux doing, though she claims she knew nothing about it. Kim has forms for Drew to sign regarding the drug trial. Drew doesn&apos;t want to push Oscar, but Kim says he&apos;s running out of time. Kim says she was planning on asking for Joss&apos; help, but she&apos;s moved on with Cam. Joss is upset that Carly was taken in for questioning again. Cam asks if she wants to stop pretending he&apos;s her boyfriend, but Joss is just as determined. Curtis questions whether Jordan&apos;s really looking at Carly for Mary Pat&apos;s death. Jordan admits she doesn&apos;t believe Carly did it, but can&apos;t eliminate her because of the hair found on the body. Curtis thinks the hair was planted. Jordan wonders who would set up Carly and why. Jordan thinks the evidence is pointing to a serial killer who&apos;s putting on a show. She worries that Mary Pat won&apos;t be the only victim. Carly tells Jason that Sonny didn&apos;t come home last night and she&apos;s worried. Jason says they&apos;re looking for leverage against Margaux. He tells Carly about finding Nelle at Ferncliff. 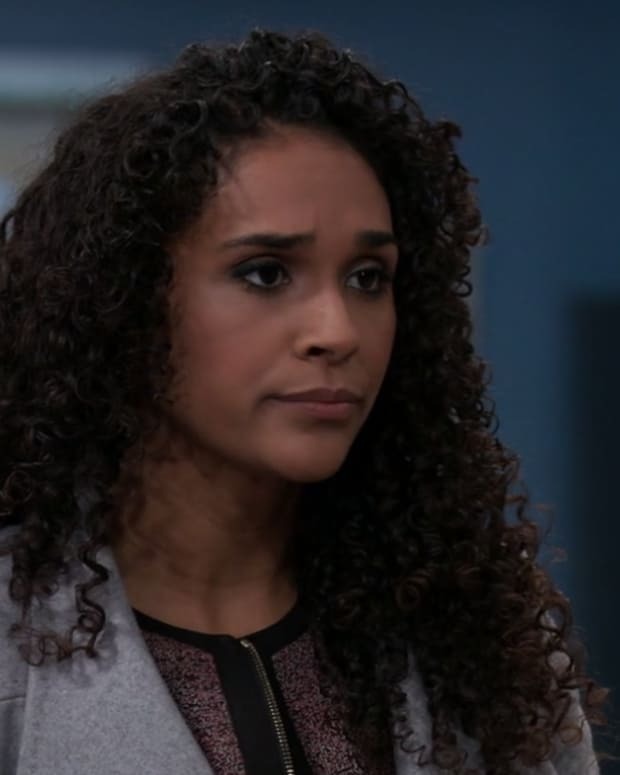 Jason says he busted her, so Nelle will be going back to Pentonville. Jason mentions that Carly&apos;s neighbor has been moved. Jason chastises Carly for not telling him she was taken in for questioning. He&apos;s worried that Carly is being set up. Jason brings up Ava, but Carly doesn&apos;t believe she&apos;s behind it. Alexis has paperwork for Oscar to deal with, and insurance and GED information. Oscar seems overwhelmed at the stuff he needs to deal with as an adult. Julian tells Alexis he knows she&apos;s trying to show Oscar how difficult things will be. Monica overhears Drew and Kim discussing Oscar&apos;s refusal to do the trial. She explains how Emily originally refused breast cancer treatment, so she understands what they&apos;re going through. Monica believes Oscar will come around. Drew tells Kim about the flash drive full of memories. He says using it would be too risky since he would lose his current memories. But, he also thinks he should lead by example. Kim tells him it would be too dangerous and not to do it. Joss and Cam head to the pub where they run into Oscar. Oscar asks Cam if the two are dating for real. Cam says they have fun together. Monica shows up to get Oscar so she can spend the day with her grandson. Margaux has Jordan listen to the recording of her mother&apos;s confession. She&apos;s not sure what to do with it. Jordan asks if she&apos;s willing to send her mother to prison to close the case. Sonny gets home and explains what happened with Margaux and her mother. 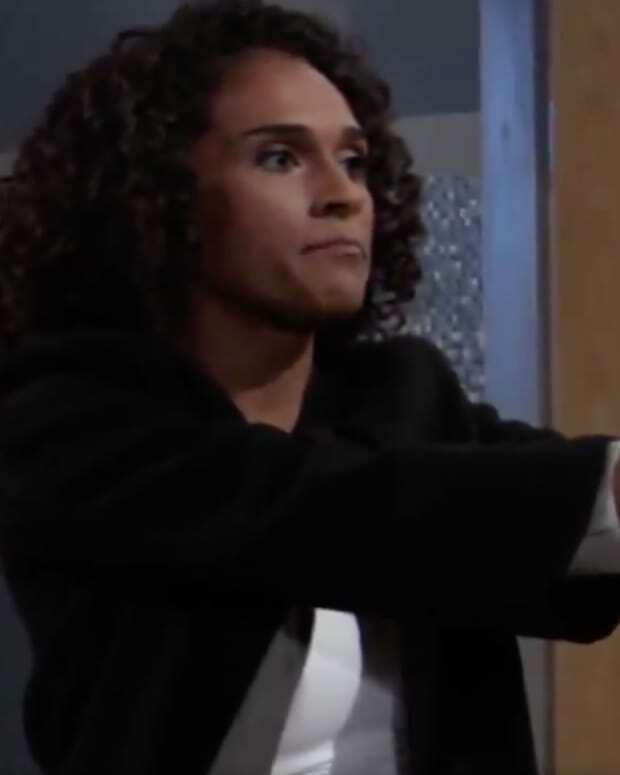 Carly points out that Jeanette didn&apos;t pull the trigger and Margaux will come after Sonny even harder. Sonny says there is no evidence against him and it wasn&apos;t his choice to kill Marino. He admits he feels badly for Margaux. Both Carly and Jason worry that she&apos;ll still come after him.